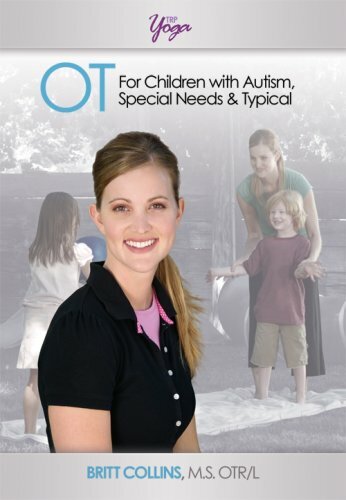 This DVD introduces parents to Occupational Therapy (OT) and what it can do for a child. Occupational Therapist, Britt Collins, combines traditional Occupation Therapy exercises with Applied Behavior Analysis to teach parents and caregivers various skills which can assist in desensitizing a child and help them on the path to reprogramming their brain function. Britt guides us through this program in both clinical and easy to follow terms. 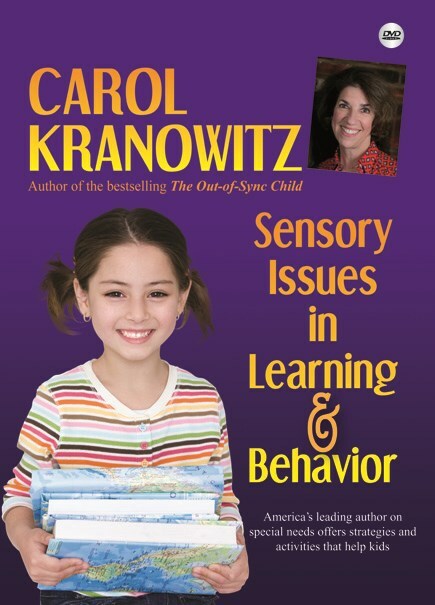 She also provides families with a guideline on how to integrate “sensory diets” into their home. Britt and the children demonstrate basic OT activities that are easily accessible at home with items such as shaving cream, hula hoops, and rice and beans. Britt shows how to keep children interested by keeping sessions fun, at the same time she explains how each exercise is helping the child. Since graduating from Colorado State University with a Masters Degree in Occupational Therapy, Britt has practiced in a variety of settings including Sensory Integration clinics, schools, homes, rehabilitation, and skilled nursing facilities. Britt honed her Occupational Therapist skills at a pediatric clinic in Tarzana, California prior to working for Pedia Staff in the Battle Ground, Washington school district where she oversaw 2 elementary schools and 1 middle school.Britt has mainly focused her career as an OT on Sensory Integration and how this affects children with various special needs, such as autism, ADHD, Sensory Dysfunction and more. She is a member of The American Occupational Therapy Association (AOTA) and currently works with the Legacy Health System in Pediatric Rehabilitation and Inpatient Acute Pediatrics in Portland, Oregon.